Do angles change with size? Children start off drawing an angle on the sheet of paper/card using the protractor and pencil. Extend the lines from the angle and then continue them using string. Estimate how far apart the lines will become after 1cm, 5cm, 100cm, 10,000cm! Discuss what angles mean. Show the children two angles: one with short lines at say 10 degrees, another with longer lines at 15 degrees. Which of these angles is bigger? What happens as the lines get longer? How far apart will the lines be if they continued for infinity?! Depending on the age, either teach/show/remind the children how to draw angles. On the large sheets of paper (the larger the sheet, the longer the lines can be and then more accurate the angle when using the string), children can either draw angles of a size they chose, or of a size you specify. NB- if you specify, this means there can be an element of competition. Explain that the children will be 'continuing the lines of the angle' using string. 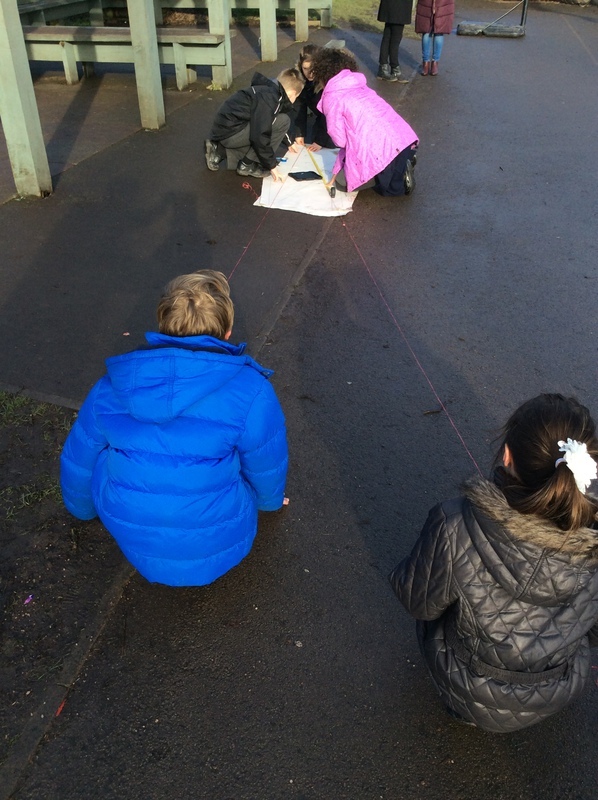 Get the children to estimate how far apart the lines will be along different lengths of the string- why is this? How did they calculate this? There are various roles which can be handed out depending on group size. The string (two lengths per group) needs to be measured out (start with the longest length you are going to use because you can then shorten this). One child needs to continue one line of the angle using the string and another child the other line of the angle. To save cutting the string, each group could use a ball and unwind the string and back in as required. 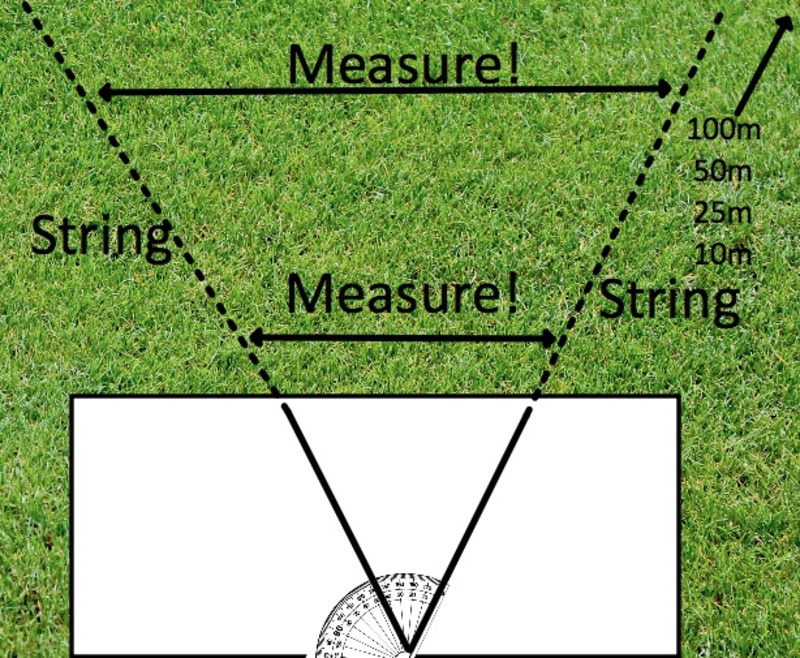 Once this has been done (and checked that the string aligns with the drawn angle) the distance between the lines can be measure using a trundle wheel/measuring tape. 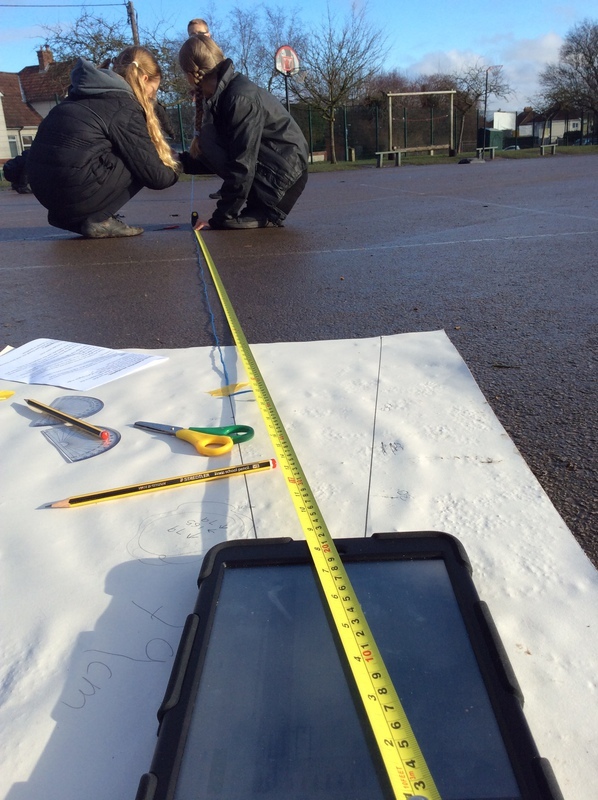 Depending on the age group, the distance between the lines of the angle and also the length of the string can be recorded- either on Excel/Numbers using a tablet or in a hand drawn table. Children could then use the data to create a line graph and then 'test' their line graphs by repeating the activity with different length lines! I tried this activity out with a group of Year 6 children. 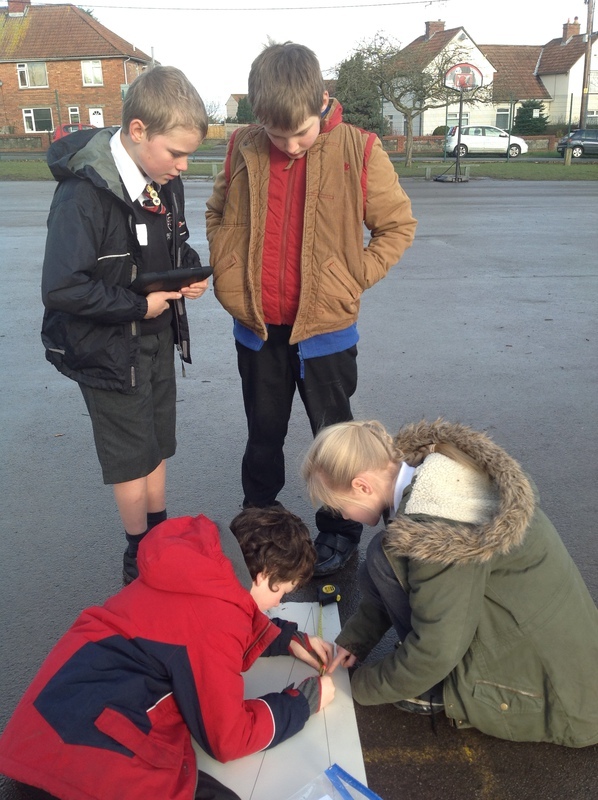 They loved combining the technology with the outdoors and having S-P-A-C-E to do their maths work. A good reminder that big exploring lessons are worth it- lots of misconceptions addressed (with smiles!). A space ranging from 10sq metres to... virtually limitless!